MUMBAI: Interest rate on home loans appears to have settled around the 9.9% level with ICICI Bank matching lending rates of State Bank of India. The country's largest private bank said it would offer home loans to women at 9.85% and to others at 9.9%, in line with SBI's rates. 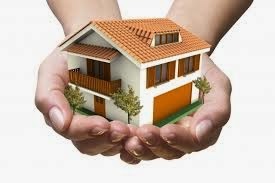 Dewan Housing Finance and Indiabulls Housing Finance, too, announced that they have lowered their lending rates to 9.9% with effect from Thursday. Barring the five-basis-point discount for women offered by SBI and ICICI Bank, all major lenders are now extending home loans at 9.9%. A week after it announced a 25-basis-point reduction in its benchmark base rate, ICICI Bank said it will continue to maintain the same spread for home loans, which means that women and low-income borrowers will get loans at 9.85% — 10 basis points above its base rate of 9.75%. For all other borrowers, loans will be available at 9.9%, 15 basis points above its base rate. The base rate is a benchmark which reflects the cost of funds for a bank and interest rates on most loans are anchored to this rate. A basis point is one hundredth of a percentage point. While announcing the new rates, the bank said it will also offer 10-year fixed rate loans at 9.9% for borrowers up to Rs 30 lakh. The 25-basis-point reduction in the base rate with effect from April 10, 2015 will benefit all existing customers of floating home loans.